Rich, dark, loamy soil with a high percentage of organic matter is the ideal growing medium for most plants. Unfortunately, different regions throughout the U.S. have soils that are less than ideal. Rocky soil, for example, is dominated by rocks or gravel, neither of which provides nutrients for plants. These soils also drain easily, creating dry growing conditions. Fortunately, several plants -- including trees, shrubs and perennials -- grow well in these drought-prone soils. Succulents grow native in dry, rocky soils throughout the world. In home landscapes, these dry-loving plants add texture. Many offer color for your beds, as well. Stonecrop (Sedum spp. ), a plant so simple to grow you can often plant it in cracks in rock walls, grows in U.S. Department of Agriculture plant hardiness zones 3 through 11, depending on species. 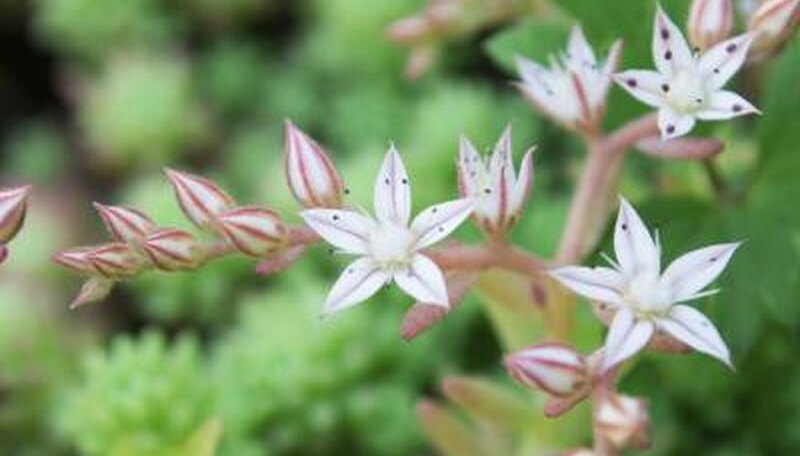 Stonecrop varies from small, mat-forming perennials to over 2 feet tall. Many species and varieties offer vibrant color. Fire sticks (Euphorbia tirucalli "Rosea") grows in USDA zones 9 through 11. 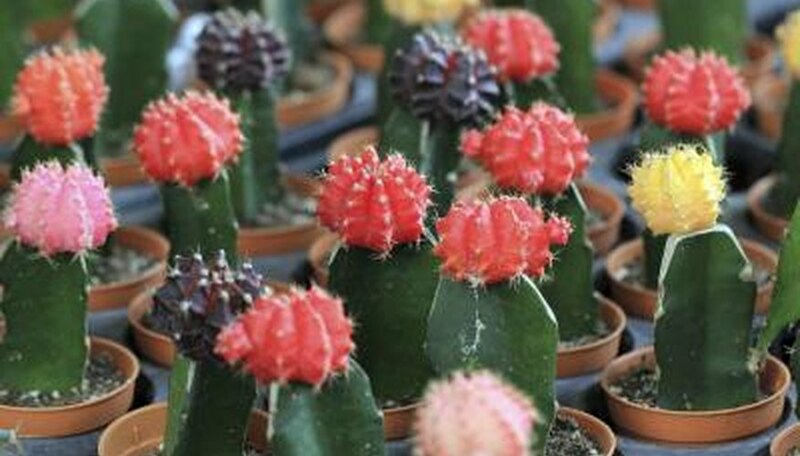 This red variety of the pencil cactus has a lively red and orange color that is particularly vibrant in the winter when other plants have gone dormant. The prairies of the U.S., often characterized by dry, rocky or gravelly soil, are dominated by both wildflowers and grass species. Several native prairie grass species are available for home landscape use. 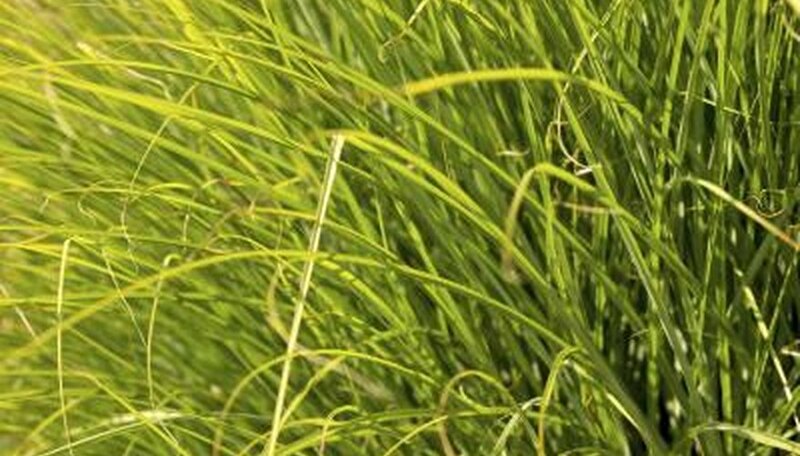 Prairie dropseed (Sporobolus heterolepis) grows native throughout the U.S. prairies. It reaches approximately 3 feet tall with pinkish-brown flowers in summer. Little bluestem (Schizachyrium scoparium) more typically grows in fertile prairie soil, but is tolerant of shallow, rocky soils in the landscapes. It typically reaches up to 4 feet tall and has purplish-bronze blooms in fall and winter. Both grow in USDA zones 3 through 9. Evergreens have long been a boon for homeowners looking to add color and texture to their landscapes throughout the year. Dry, rocky soils can prove difficult for many evergreens, but junipers tend to stand up well to the harsher growing conditions. Creeping juniper (Juniperus horizontalis) grows in USDA zones 3 through 9 and produces a thick mat of green, yellow or bluish leaves. 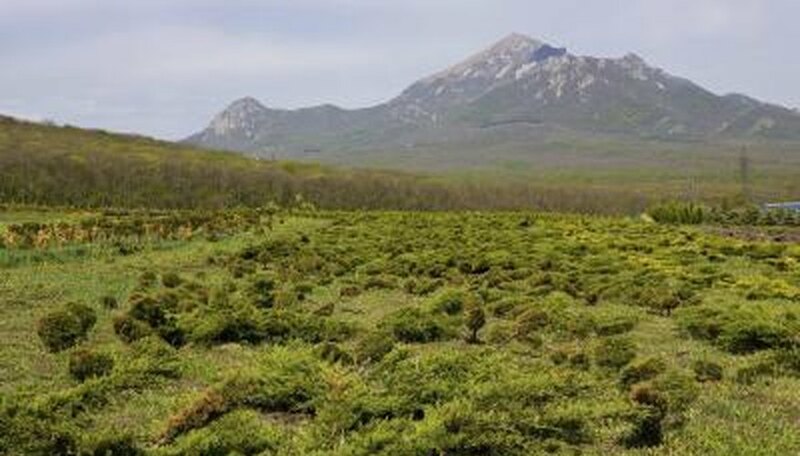 Other junipers also perform well and can be trees or shrubs. Another evergreen plant is the yucca (Yucca spp.). These perennial-looking shrubs have sword-like leaves throughout the year. Adam's needle (Yucca filamentosa "Color Guard") grows in USDA zones 4 through 10 and can reach a height of 6 feet. Yucca plants shoot up tall stalks with nodding, bell-shaped and cream-colored flowers. The flowers attract several beneficial insects. Several other plants are adept at growing in dry, rocky soils. Sage (Salvia spp.) contains many species and cultivars that grow well in drought-prone soils. 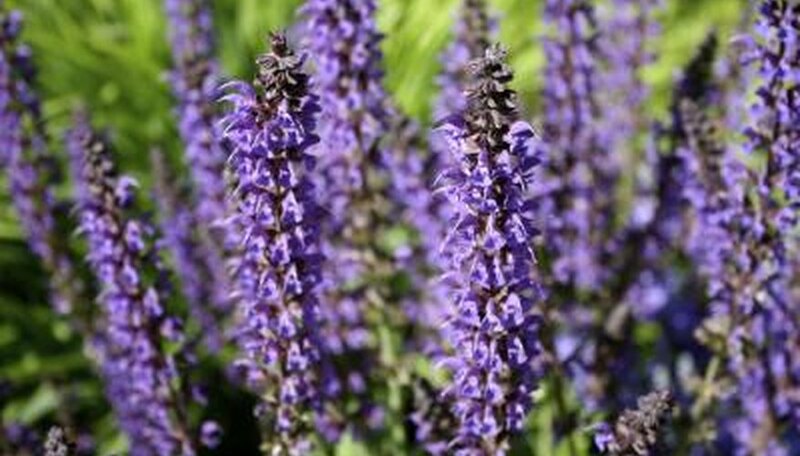 Desert purple sage (Salvia dorrii) is one such example; this native species grows in USDA zones 5 through 9 and produces aromatic purple flower spikes amid silvery gray, semi-evergreen foliage. For brighter color, consider royal catchfly (Silene regia), a native to the prairies of the Ozark regions. Royal catchfly produces small clusters of scarlet flowers on 3- to 4-feet tall clumping plants. Summer sun ox eye (Heliopses helianthoides var. scabra "Sommersonne"), another North American native, grows in USDA zones 3 through 9. This sunflower-like clumping perennial produces 2- to 3-inch yellow flowers. Arizona State University Extension: Euphorbia Tirucalli "Rosea"
Missouri Botanical Garden: Juniperus Horizontalis "Mother Lode"
Missouri Botanical Garden: Yucca Filamentosa "Color Guard"
Missouri Botanical Garden: Heliopsis Helianthoides Var. Scabra "Sommersonne"